Are you attempting to shed some extra pounds? Do you want to use every method possible to lose weight in a healthy way, while still being able to enjoy life? If so, you should look into drinking teas that will benefit you and your efforts. No matter what type of diet or eating plan you are using, staying hydrated is one of the keys to your success. Although it was once common for weight loss and health experts to recommend eight cups of water each day, that is no longer the case. Instead, you will need to adjust the amount of liquids you drink based on several personal factors. Your body weight is a big factor in determining how much healthy tea and water you will need each day. Take the number in pounds and divide it in half. You should drink a minimum of this number of ounces of liquids each day. At the upper end of the range is a full ounce per pound. The factors that will indicate where your consumption should fall include your activity levels and local climate. If you sweat a lot, you will need to drink enough water to compensate for the loss. Make sure that you adjust the amounts as you begin to lose weight. One easy way to tell if you are drinking enough is to look at your urine. Ideally, it will be a pale yellow. If it is darker than that, you should add another glass or two of weight loss tea each day. On the other hand, if you can hardly notice any color, you should cut back on your water. In addition to water, you can use healthy herbal teas to reach your daily hydration needs. These are a tasty alternative to sodas and coffee, which are generally excluded from diet plan water requirements. There are countless herbal teas on the market that you can choose from. Some of them are designed specifically to aid in weight loss. If you opt to drink these beverages, make sure that you follow the instructions. Don’t steep the tea longer than recommended, and never consume more than the daily dosage listed on the packaging. Doing either of these could end up creating digestive troubles. In addition to weight loss formulas, you can use other herbal teas to help you lose weight. Many people eat as a way to deal with stress. So, a nice cup of chamomile or lavender tea might be just what you need to relax and stay on your diet plan. Likewise, tea made with fresh ginger can help digestive issues that you might have during the dietary adjustment period. Of course, these are just a few of the examples of delicious herbal teas that you can drink to boost your weight loss efforts. You are sure to find others that you enjoy as well. Always make certain that you are purchasing an all natural tea that is processed and sold by a reputable company. Purchase from a vendor or store with enough traffic that the stock doesn’t become old. Health food stores are often the best choice, but some grocery stores have a great selection and a customer base that enjoys the finer things in life, such as high-quality herbal teas. If you want to lose weight, you don’t have to sacrifice flavor and enjoyment. 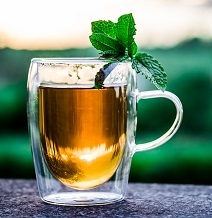 Teas can be a great way to boost your weight loss efforts while providing you with a flavorful beverage that you can enjoy. Choose a variety of weight loss and other herbal teas so you never have to worry about becoming bored!